How Effective Are Your PLM Practices, Processes and Technologies? 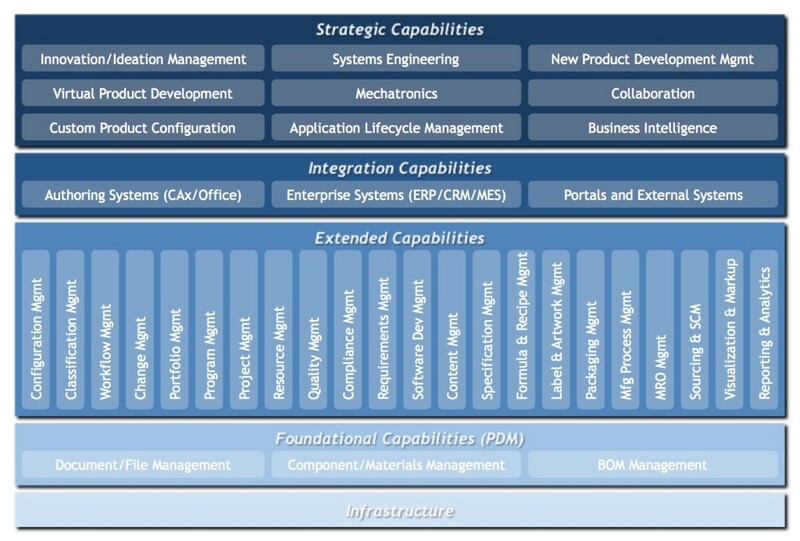 Many companies nowadays have implemented and are using a PLM system to enable and automate some of their practices and processes, typically in engineering and product design. But the use of serial, fragmented, manual, and paper based processes as well as generic tools, such as personal hard drives, network folders, FTP, Dropbox, Excel, etc. is still prevalent in most companies. Consequently, these companies leverage only a fraction of what is possible and hence forgo many of the potential benefits and value that come with the effective use of PLM practices, processes and technologies across the extended enterprise. Our PLM Capability and Maturity Assessment will give you an excellent understanding on how effective your company’s PLM practices, processes and technologies are compared to best-in-class companies as well similar companies in your industry. The assessment will be conducted across 34 capability areas of the PLMadvisors PLM Framework. 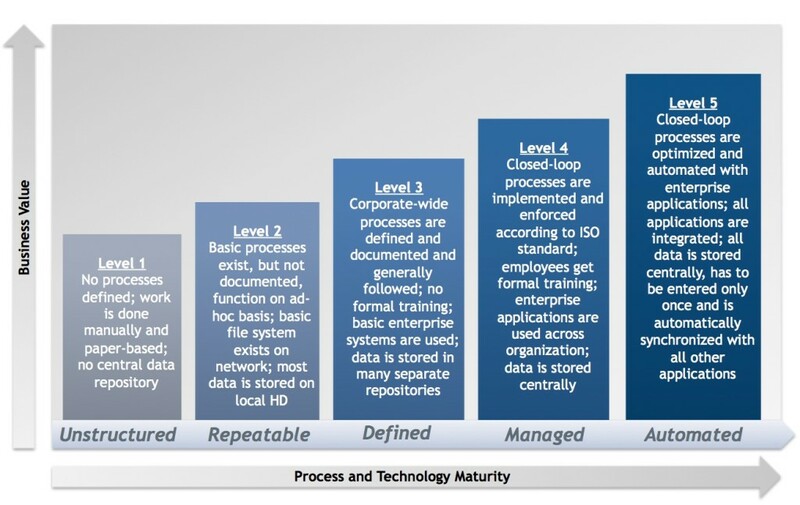 For each of the 34 capability areas you will gain a detailed understanding of the process and technology maturity of your organization, as illustrated in Figure 2. The higher the maturity, the more effective and efficient your organization will be in innovation and new product development and the higher the business value. Often only small process or technology improvements can lead to significant additional benefits and value. The primary goal of the PLM Capability and Maturity Assessment is to help you identify the areas with the highest improvement potential based on similar and best-in-class companies in your industry and provide an appraisal of the value and benefits that can be achieved by increasing the maturity in some or all of the 34 PLM capability areas. This knowledge will enable you to determine in what areas your organization has the highest potential of improvement and allow you make the right decisions going forward to improve your company’s innovation and new product development capabilities.